The typical characteristics of ORTLIEB drybags are the smart and simple roll closure and the 3-D welding seams which are even stronger than the fabric itself. Numerous different versions make it hard to choose: ORTLIEB dry bags are available as small and light-weight mini stuff sacks up to huge XL size bags. You will certainly find the right model for your field of application. 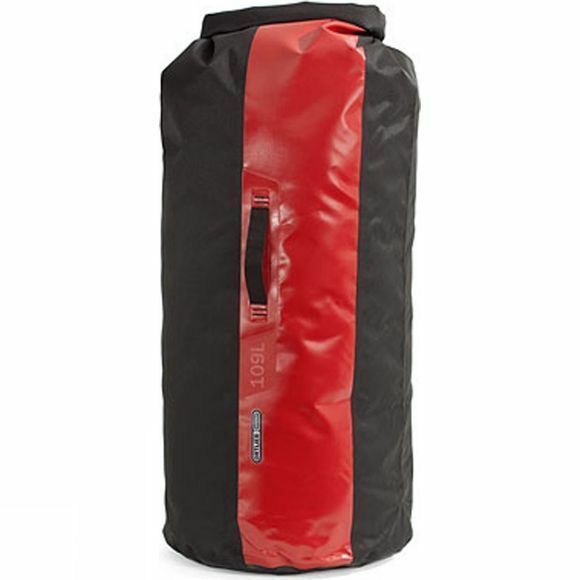 If sturdy and robust are more important than light-weight, PS490 dry bags are the first choice. They are the right model for heavy duty use. All dry bags are provided with D-rings at the closure and a bottom loop for fixing. The bottom is made of tear-resistant PD620.